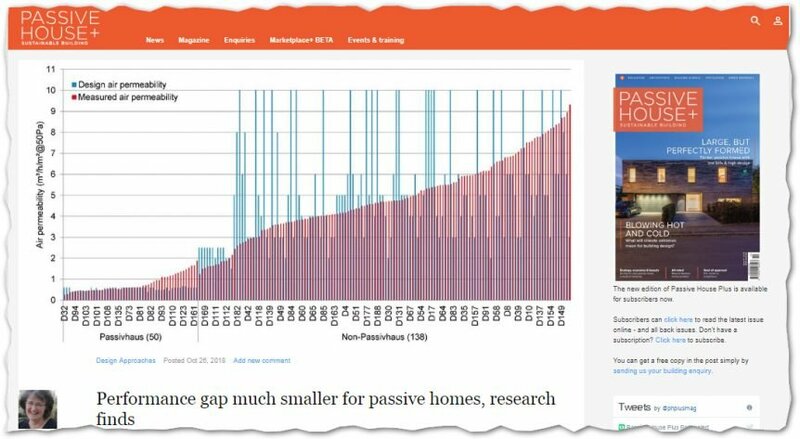 26 October 2018 Passive House Plus’ Kate de Selincourt: Performance gap much smaller for passive homes, research finds | Sustainable Engineering Ltd. This report reviewed detailed test measurements for air tightness and heating loads for passive houses and non-passive houses designed to meet an energy target. From this data the Passive Houses (Passivhaus in the UK) predicted performance matched quite closely to the measurements compared to other non-passive house designed buildings.